This arena averages around 220 events per year and provides a huge 20,000 space capacity for fans! Events include anything from world class sporting events, concerts, family shows, trade shows and special events. So the Verizon Center is one of the most adaptable venues there is, not only suiting the attendees but also players and artists alike. With such an impressive capacity, fans attending this venue will struggle to find a bad seat! Giving you and your friends the opportunity to just focus on catching every single moment of the latest games and catch all of the hottest actions as acts take to the Verizon Center stage! Being a part of such a big crowd makes every event just that little more special. Hearing a roar every time a player scores a goal and the sound of 20,000 + people singing in unison to your favourite song is an electric feeling that cannot be forgotten. 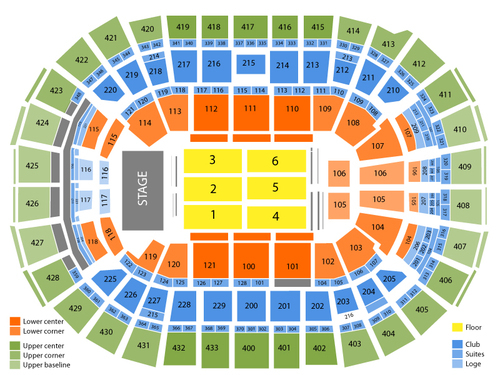 See seating chart for more information.